Ever since my dad tried to convince me to meditate when I was about 12, I’ve been fairly skeptical of this practice. It always seemed to be so vague and hard to understand that I just decided it wasn’t for me. More recently, I’ve actually found how simple (not easy, but simple) meditation can be and what hugebenefit it can have for my day to day happiness. As an adult, I first started my meditation practice with just two minute per day. Two minutes! I got that idea from Leo Babauta’s Zen Habits blog, where he points out how starting with a tiny habit is the first step to consistently achieving it. So even thought two minutes won’t make much difference, that’s where I started. Whether you’re as skeptical as I used to be, or you’re well ahead of me with a meditation habit of several hours, I think it’s always interesting to find out how new habits affect our brains. I had a look into meditation to see what’s going on inside our brains when we do this, and what I found is pretty interesting. What is meditation? There are different ways to meditate, and since it’s such a personal practice there are probably more than any of us know about. There are a couple that are usually focused on heavily in scientific research, though. These are focused-attention, or mindful meditation, which is where you focus on one specific thing—it could be your breathing, a sensation in your body or a particular object outside of you. The point of this type of meditation is to focus strongly on one point and continually bring your attention back to that focal point when it wanders. 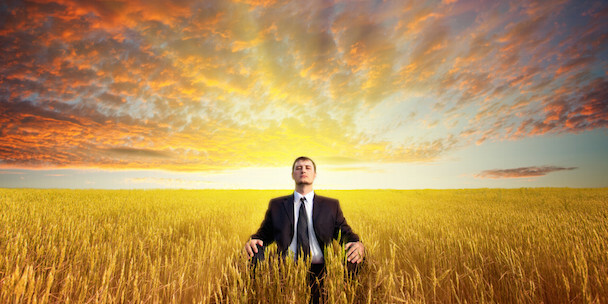 The other type of meditation that’s often used in research is open-monitoring meditation. This is where you pay attention to all of the things happening around you—you simply notice everything without reacting. 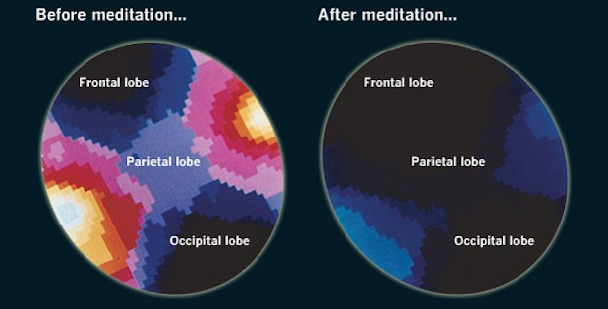 What happens in your brain when you meditate ? This is where things get really interesting. Using modern technology like fMRI scans, scientists have developed a more thorough understanding of what’s taking place in our brains when we meditate, kind of similar to how scientists have previously looked at measuring creativity in our brains. The overall difference is that our brains stop processing information as actively as they normally would. We start to show a decrease in beta waves, which indicate that our brains are processing information, even after a single 20-minute meditation session if we’ve never tried it before. As the brain’s sentry, this structure receives incoming stimuli and puts the brain on alert, ready to respond. Meditating dials back the arousal signal. How meditation affects us ? Now that we know what’s going on inside our brains, let’s take a look at the research into the ways it affects our health. It’s in fact very similar to how exercising affects our brains. Because meditation is a practice in focusing our attention and being aware of when it drifts, this actually improves our focus when we’re not meditating, as well. 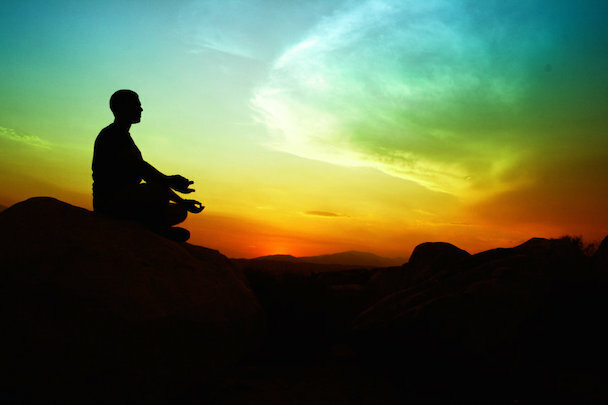 It’s a lasting effect that comes from regular bouts of meditation. Focused attention is very much like a muscle, one that needs to be strengthened through exercise. Also helps us increase our productivity and be more efficient. Less anxiety: This point is pretty technical, but it’s really interesting. The more we meditate, the less anxiety we have, and it turns out this is because we’re actually loosening the connections of particular neural pathways. This sounds bad, but it’s not. What happens without meditation is that there’s a section of our brains that’s sometimes called the Me Center (it’s technically the medial prefrontal cortex). This is the part that processes information relating to ourselves and our experiences. Normally the neural pathways from the bodily sensation and fear centers of the brain to the Me Center are really strong. When you experience a scary or upsetting sensation, it triggers a strong reaction in your Me Center, making you feel scared and under attack. When we meditate, we weaken this neural connection. This means that we don’t react as strongly to sensations that might have once lit up our Me Centers. As we weaken this connection, we simultaneously strengthen the connection between what’s known as our Assessment Center (the part of our brains known for reasoning) and our bodily sensation and fear centers. So when we experience scary or upsetting sensations, we can more easily look at them rationally. For example, when you experience pain, rather than becoming anxious and assuming it means something is wrong with you, you can watch the pain rise and fall without becoming ensnared in a story about what it might mean. As a writer, this is one thing I’m always interested in and we’ve explored the science of creativity in depth before. Unfortunately, it’s not the most easy thing to study, but there is some research into how meditation can affect our creativity. Researchers at Leiden University in the Netherlands studied both focused-attention and open-monitoring mediation to see if there was any improvement in creativity afterwards. 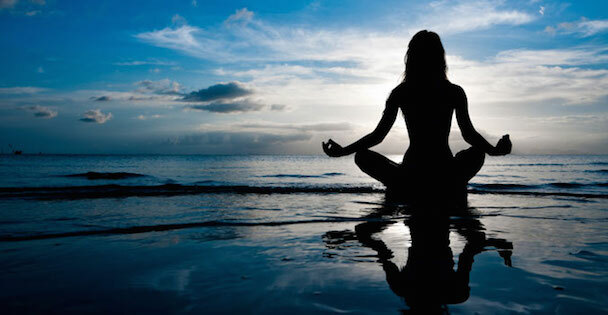 They found that people who practiced focused-attention meditation did not show any obvious signs of improvement in the creativity task following their meditation. For those who did open-monitoring meditation, however, they performed better on a task that asked them to come up with new ideas. More creativity expands our horizon and helps us make most of out time, thereby increasing producitivity. Research on meditation has shown that empathy and compassion are higher in those who practice meditation regularly. One experiment showed participants images of other people that were either good, bad or neutral in what they called “compassion meditation.” The participants were able to focus their attention and reduce their emotional reactions to these images, even when they weren’t in a meditative state. They also experienced more compassion for others when shown disturbing images. Part of this comes from activity in the amygdala—the part of the brain that processes emotional stimuli. 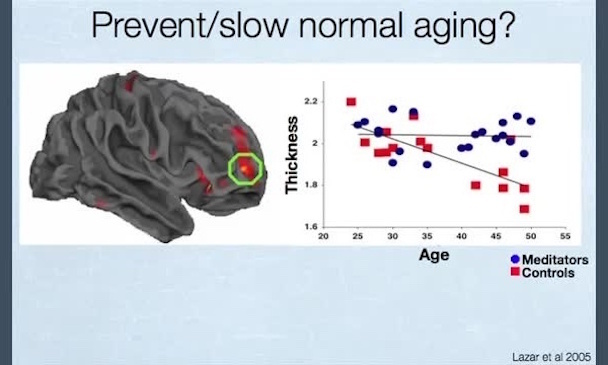 During meditation, this part of the brain normally shows decreased activity, but in this experiment it was exceptionally responsive when participants were shown images of people. Another study in 2008 found that people who meditated regularly had stronger activation levels in their temporal parietal junctures (a part of the brain tied to empathy) when they heard the sounds of people suffering, than those who didn’t meditate. 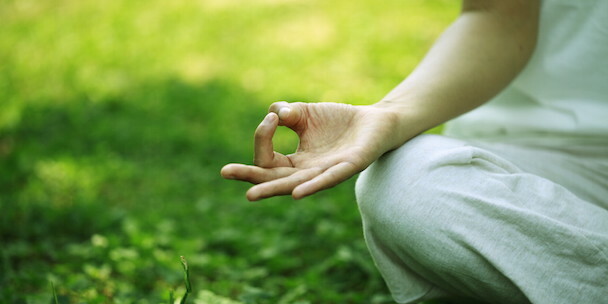 One of the things meditation has been linked to is improving rapid memory recall. Catherine Kerr, a researcher at the Martinos Center for Biomedical Imaging and the Osher Research Center found that people who practiced mindful meditation were able to adjust the brain wave that screens out distractions andincrease their productivity more quickly that those that did not meditate.